Join this relaxing reptile for a refreshing drink with this 72 oz. 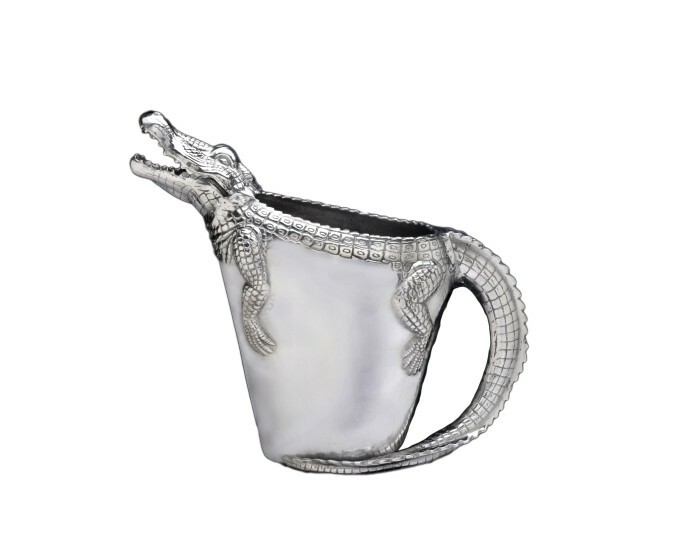 Alligator Pitcher from Arthur Court. This handmade, aluminum gator enjoys a break as he lounges on top of the pitcher and allows his scaly tail to curve and form a sturdy handle. With its innovative design, this pitcher is easy to talk about, but hard to put down. Size: Length: 12.0" / Width: 4.5" / Height: 11.0"